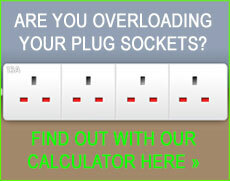 Why to choose us as your local Pinner electrician? From small jobs such as basic electrical repairs to larger tasks like a complete electrical rewire of your premises, dkp Electrics can provide you with vastly experienced electricians who you can trust will give you a fast and efficient solution to any electrical need around the home or workplace in Pinner HA5, West London. Any electrical work you may have carried out yourself will ideally need to be reviewed by a qualified electrician. All of our Pinner electricians at dkp Electrics will carry out their work to the required British Standards and within the electrical safety regulations that are necessary to complete such tasks. Our huge team of Pinner electricians consist of specialists that are elite in the more detailed and complicated projects that can arise. Tasks such as laying underfloor heating and in many cases installing CCTV that can be accessed via the internet from your computer or smart phone, are all jobs that need completing to the best standard at all times. We are diverse in that we can work with everything from phone sockets and audio sound equipment through to boilers, ovens and even garden lighting or patio heaters. Using our knowledge in the electrical industry, if it's a big project we will be carrying out, we will always discuss your thoughts and suggest ways to improve on costs. This aim enables us to provide the most suitable resolution to your electrical based project. In terms of a quote per job we always try to calculate an accuracy quote so you don't get any nasty surprises further down the line. Our expert team of dedicated Pinner electricians will always undertake all aspects of electrical work as quickly and efficiently as possible, covering everything from appliance installations and fault finding to larger tasks like a complete electrical rewire of your house or premises. Relax and speak to a dkp electrician in Pinner HA5 today to discuss any of your electrical issues. If you decide to go for the electrical services of dkp Electrics you can be sure you've made the right decision and you can rely on getting a professional, friendly, honest and competitively priced service throughout. Our Pinner electricians always do their best to ensure to ensure we cause the minimum amount of noise and disruption and that we leave your home or workplace clean and tidy after our work is carried out. Our 24-hour call out service means we can have an electrician with you any time you one need day or night, come rain or shine. For a qualified electrician you can trust, contact dkp Electrics today to see what we can do for you at your home or place of work in Pinner HA5, West London.